Park Shin Hye International Fanclub | 박신혜 국제 팬클럽: [ENG SUB] The Inheritors 3rd teaser! Eun Sang: Are you okay? Kim Tan: I’m not okay. Eun Sang: From the beginning, was my life meant to be just a passerby that doesn’t leave a trace? I feel so wronged, that’s why I wanted to go to the US. Kim Tan: I didn’t come to the US to study abroad, I came because I was exiled. Young Do: I’m supposed to look like dad, but I ended up looking like mom. Eun Sang: Unni, let’s go together! Kim Tan: I met a girl yesterday. Eun Sang: I was worried you would just leave. Kim Tan: Don’t go anywhere, stay here. Eun Sang: I said that if I ran into any danger, I would just grab your hand and run away. Kim Won: How long do you want to keep doing this. I feel it’s already exceeded your boundaries. Eun Sang: Do you need courage to run Korea? Kim Tan: I need courage to summon my heart. Eun Sang: I said to eat well and live well so I came to the US, but this place ended up like a garbage can. Young Do: You’re certain there are only bad memories? 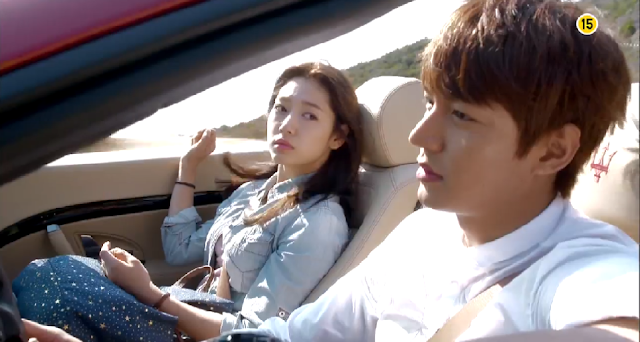 Eun Sang: In that gap between spaces, I had a good dream. Kim Tan: It can’t be….that I’ve fallen for you? You can find it on YouYube. Search for "the inheritors 2nd teaser".